One of the cool things I get to do now is work with the talented researchers, scientists and engineers of the Air Force Research Lab. As a result, I was recently introduced to this very cool Android app that facilitates real time graphical communication among disparate first response agencies. The Android Team Awareness Kit (ATAK) was first developed by AFRL for the US Special Forces, who tested the app’s capabilities in combat over several years. Now, through the Department of Homeland Security, law enforcement and first response agencies at the local, state and federal levels can seamlessly coordinate their actions in responding to emergent crisis. The tech proved to be invaluable in the response to Hurricane Harvey that decimated Houston in 2017. Elaine Herzberg died in March, 2018, after being struck by an Uber-owned Volvo SUV operating autonomously. Herzberg was struck while walking her bicycle across a multi-lane road at 10:00 at night. The vehicle was traveling 40 mph in a 45 mph zone, and had a safety driver on board (although she was watching TV on her phone in the minutes leading up to the crash). At this point in the decade-long development of autonomous vehicles, you can still count the number of fatalities total on a single hand. Yet, each time an autonomous vehicle crashes, talk turns to demanding it be proven to be “safe” (often meaning something statistically close to 100%). Meanwhile, according to the Governors Highway Safety Association, nearly 6,000 pedestrians alone were killed in 2017 by cars driven by people. Remember all the news stories about them? Actually, the style is that of The Bauhaus, an early 20th century German art school whose design ethos made it “the most influential art and design school in history.” To celebrate the 100-year founding of the school, a design firm used its style to redesign some of our modern culture’s iconic brands. In other logo art related news, the collaboration app Slack has redesigned it’s brand in advance of its likely IPO. Here’s Slack’s blog post explaining the change. Count me as not impressed: the old logo/icon (on the left) was better, IMO. … thanks to a new paper with some new math (which incorporates the implications of the fact that stars and solar systems move around the galaxy just like planets orbiting their stars). In short: the fact we haven’t made contact with alien civilizations may not logically prove what we thought it did before. As someone who thoroughly enjoyed trying to build cities that worked during the heyday of SimCity’s moment in the 1990’s (a town named Montis Polis was my lasting work), I found this story utterly delightful and fun. Read it to see how the game that surprisingly created the simulation genre has influenced a generation of real life city planners and civic administrators. For even more nostalgia, here’s an article from deeeeep in the the LA Times’ archives (it ran a week before I turned old enough to vote!). My calendar says today is Saturday, and your inbox says something didn’t show up as expected yesterday. A couple of engagements I had on Thursday and Friday conspired to keep this week’s “5 for Friday” from going out on schedule. So, to make up for it, I’ve thrown in an extra item of interest. Cult leaders — whether the cult is religious, political or personality driven — are never well people. Elizabeth Holmes is no different, as this fascinating article from Vanity Fair makes abundantly clear. “When customers want to receive a product in one or two days, the carbon emissions increase substantially. If you are willing to wait a week, it’s like killing just 20 trees instead of 100 trees.” So says Josué Velázquez-Martínez, a sustainable logistics professor at MIT. Amazon will be releasing its own report on its corporate carbon footprint later this year, for the first time ever. 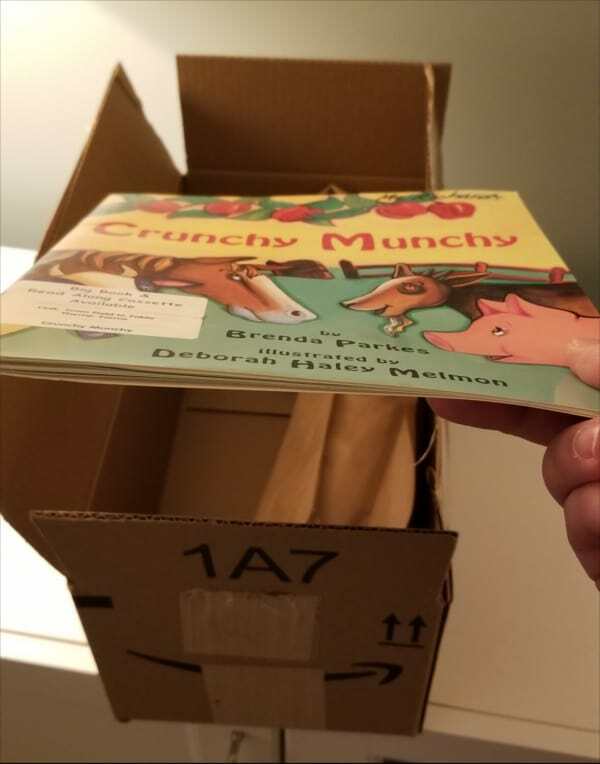 It will be interesting to see how Amazon’s data defines the cost of Prime convenience. You can hardly look anywhere online and not see some story about autonomous cars doing the work of taxi drivers and autonomous trucks doing the work of truck drivers. Despite this saturation of coverage, I can’t recall ever stumbling across anything talking about autonomous tractors doing the work of farmers. I certainly wouldn’t have guessed doing so while visiting NASA.gov. A fascinating journey through time from Senet in ancient Egypt to Snakes and Ladders in Victorian Britain to the Soviet games used to promote good Soviet citizenship: Tuberculosis: A Proletarian Disease and Look After Your Health! The New Hygiene Game. $28,800 — That’s how much the employees are paid to do the mind-numbing task of moderating the impossibly large quantity of content being uploaded to Facebook every day. They are not Facebook employees, though. They are employees of IT contractors like Cognizent. Thus, without being Facebook employees, or possessing any particular expertise, these folks are the front line decision makers of how to implement Facebook’s complex and ever changing set of content standards for the site that claims 1/3 of the world’s population as its user base. It’s a psychologically taxing and impossibly complex job. Meanwhile, the median pay for actual employees of Facebook is $240,000 and Facebook is turning profits at a rate of approximately $7 BILLION per quarter. In 2004, the Federal Highway Administration changed the font used for highway signage from the ’40’s era Highway Gothic to Clearview, a font produced by a design firm and with years of testing data (and license rights to the design firm) behind it. Twelve years later, the FHWA reversed itself and went back to Highway Gothic. And then, just two years after the news linked above was announced, the FHWA reversed itself yet again, going back to Clearview. Recency — this isn’t a look at places like Sarajevo, which hosted the Winter Olympics 35 years ago … and suffered a civil war a decade later. The Summer Olympics in Rio de Janeiro was less than three years ago. And yet, every cycle the lunacy of corruption begins anew. An interesting 3:12 worth of video from an interview between CNN’s Poppy Harlow and Lyft co-founder and President, John Zimmer. Lyft (and presumably it’s cross-town app-based rival, Uber) want to so radically transform the transportation sector that private car ownership doesn’t just become the more expensive option — it becomes the unnecessary one. The tradeoff? Every trip to everywhere becomes a recreation of junior high and early high school, when getting anywhere required someone else to drive you. This essay is an interesting look at what that means. I was particularly surprised to by the section on how much space is devoted just to parking spaces. And you thought Facebook was just about memes, fake news, and misuse of customer data. Will “AI Artist” Ever Be a Thing? “No,” says Sean Dorrance Kelly, a philosophy professor at Harvard. 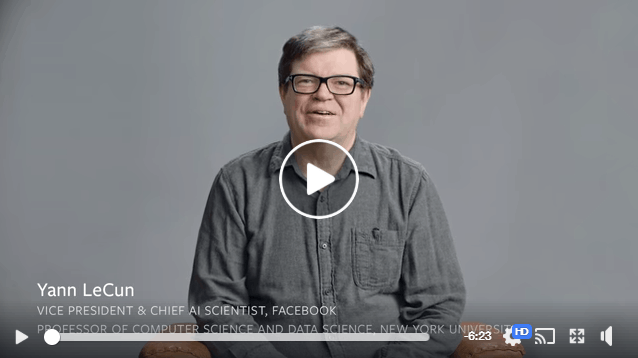 In this, he joins the chorus of those like George Gilder, who argues the same point in his book, Life After Google, based on the logical proofs of a 24-year-old mathematician named Kurt Godel from 1930. To say otherwise is to misunderstand both what human beings are and what our creativity amounts to. This is an error that really should be easy to avoid making. Grocery delivery app Instacart has finally come to its senses in light of pushback from its “shoppers” (think Uber drivers but for groceries). While the app makes it easy for users to have groceries delivered to their home and both pay for the service and give a tip to their delivery shopper, it also made it easy for Instacart to essentially take those tips for themselves. The business’ opaque compensation scheme enabled it to count the tips the app collected towards the minimum delivery payment due to the drivers. 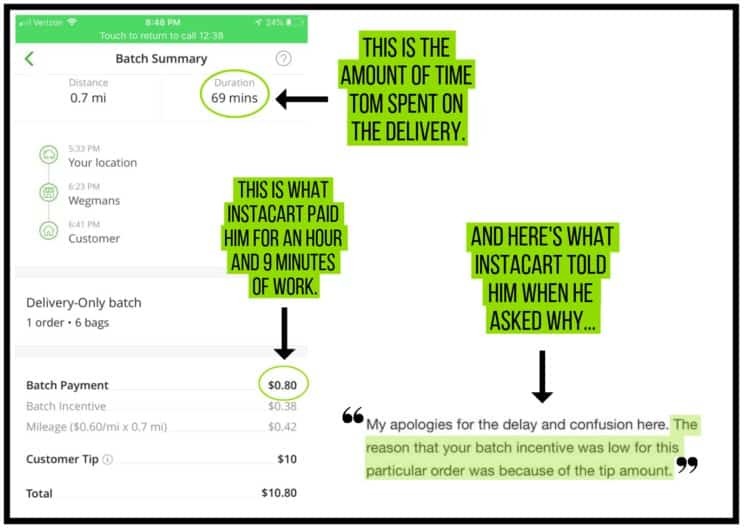 In essence, Instacart used this tip/wage offsetting scheme to offload some of their wage costs to the users without anyone being the wiser. That is, until drivers started noticing and posting their receipts online like this one. Weasel words, given Instacart’s recent history of trying to turn driver tips into a “service fee” (ie – reportable revenue for Instacart) … shenanigans that cost the company $4.6M to settle a class-action lawsuit. Speaking of digital startups trying to turn your grocery shopping into new mountains of revenue, Cooler Screens (catchy) wants to turn the drink cooler doors at your favorite gas station and convenience store into a digital screen enabling it to host ads hoping to influence your purchase at the very moment it’s made. On its website, the company touts “the big and untapped opportunity to improve the customer experience.” I know how much I love the customer experience at the gas station of getting ads delivered to me through the screen at the pump, but your mileage may vary on that. One of these days Silicon Valley will come up with a business model that does cool things and improves people’s lives without paying for it all with the currency of feeding us advertisements. That day is not today, however. A fascinating time machine look at life inside 1970’s Russia, through the eyes of young Soviet mothers. I found this archived New York Times article particularly interesting for a pair of reasons. First: my maternal Grandmother and Great-Grandmother emigrated to the United States from Europe after WWII as refugees from Soviet Ukraine. This article is an interesting window the world the left behind. Second: it’s date of publication — December 17, 1974. My own Mom was a young mother herself, as I was just over two months old at the time. For a great read and the true story of my family tree’s move from Siberia to Ukraine to post-war refugee camps throughout Germany to Ellis Island, check out this book. 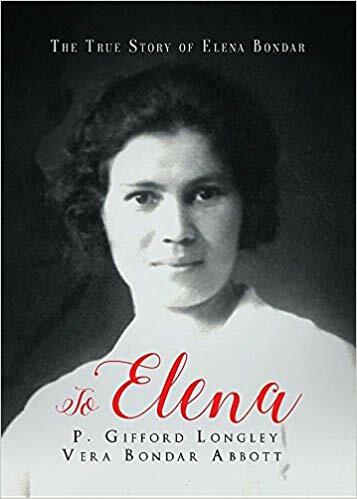 The title character, Elena, was the younger sister of my Great-Grandmother, Pana, and their story spans two of the most significant events in 20th century history: the communist revolution in Russia, and the Nazi occupation of Europe. Yes, it’s still in the most rudimentary of stages, but as the ancient Chinese philosopher Lao Tzu said: “A journey of a thousand miles begins with a single step” In this case, it’s a series of single steps utilizing radically different gaits made possible by reshaping the angles of the robotic legs. Here’s a video explainer from the team at Colorado State University who is doing the work. Here’s hoping that journey never goes down the road of liquid metal robotics.